The new website for Pride and Prejudice, A Musical, has some new demos for quite a few of the songs in the play. Click on the link to the song to be taken to a page that will automatically play the music and give information about the story the song is telling as well as the actors performing. There are some new pieces and some changes to old pieces. For those of you who have not been able to see a performance of the play, here is the next best thing! The demos feature several of the performers from the one-night performance in Rochester, so after the cut are some photos from that performance with these performers to enhance your listening pleasure. Click on all photos for full size. I saw P&P The Musical when it performed in Chicago this winter. I learned about it here at Austenblog and was very excited to see it. I must say, though, that I was somewhat disappointed. It is much more operatic than Broadway musical, and I’m not that into opera. 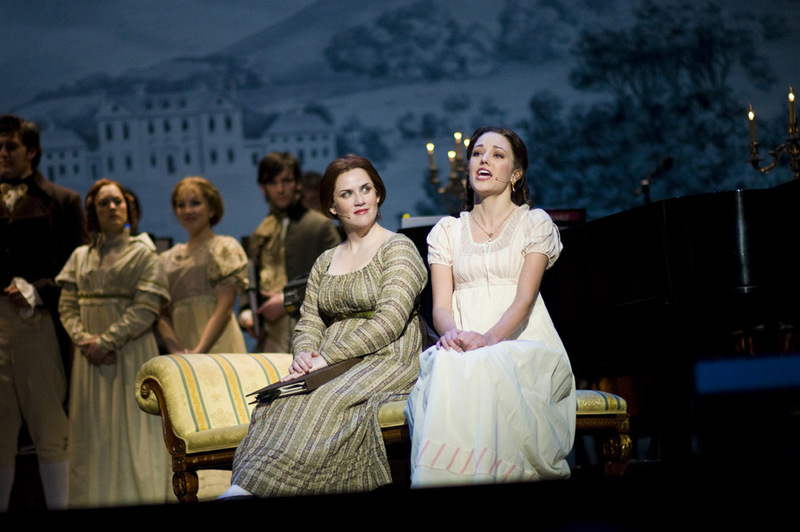 The actress who played Lizzy was pretty and charming, and M & M Bennet were very good. 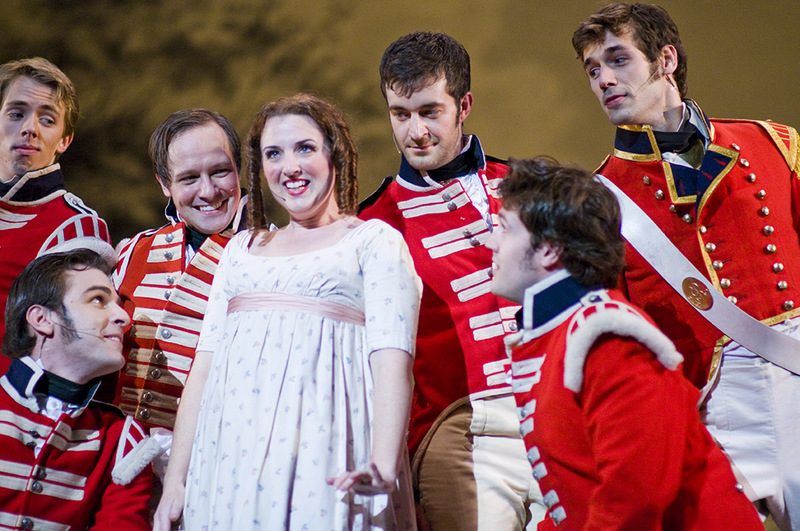 But Darcy was not handsome to me and seemed weak compared to all the Darcy’s in everything I’ve ever seen “Darcys” in. I only really like a couple songs. The others were “eh!”. 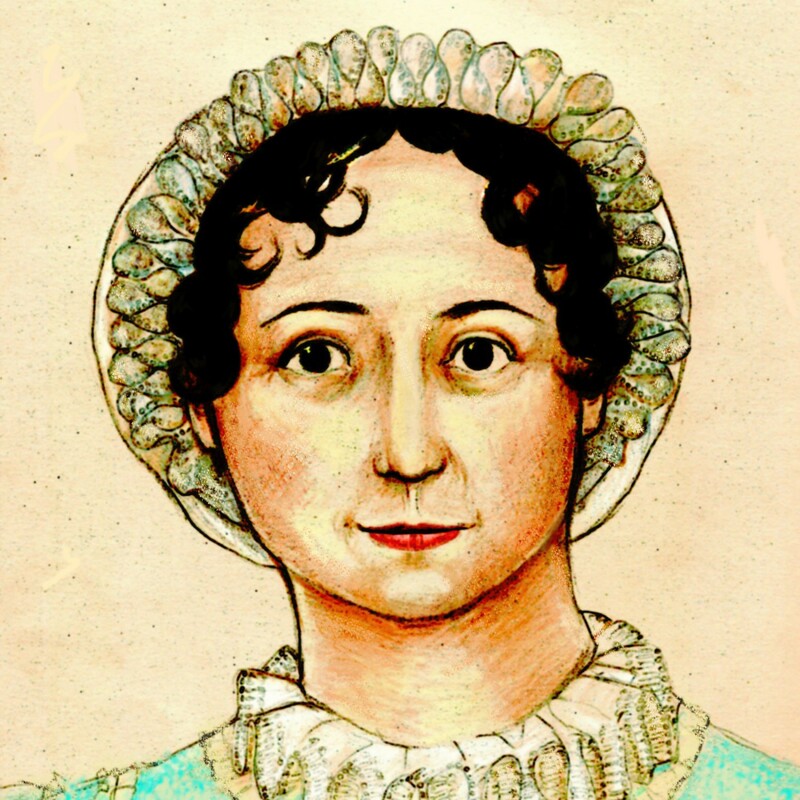 The actress who played Jane Austen really turned me off. She seemed too old, too overbearing (her voice was big and unfeminine to me), and just rubbed me the wrong way. And if you can’t love JA, that’s two strikes against you from the beginning. I’m glad I got to see it, but it didn’t live up to my expectations. Sorry if I’ve offended anyone. Just not my cup of tea. I saw the Rochester performance and the Chicago production, and while I did like the music (I don’t remember it being quite so operatic in Rochester, but it was an opera company putting it on in Chicago), I agree with you about the Chicago Jane. She really didn’t seem to get it. And the Darcy I saw in Chicago was waaaaaaay too old (I believe they had 2 different Darcys in Chicago, so I don’t know if I saw the one you saw), but I thought he played the part well. In general, for me, the Chicago production was miscast in a lot of the roles, but I like the play, and I loved the set, and the Lizzy was excellent. Odd. When I click on a song the information comes up, but no music plays. There is nothing the matter with my computer. since Amazon’s preview snippets work perfectly well. How long do you have to wait for the music to start?